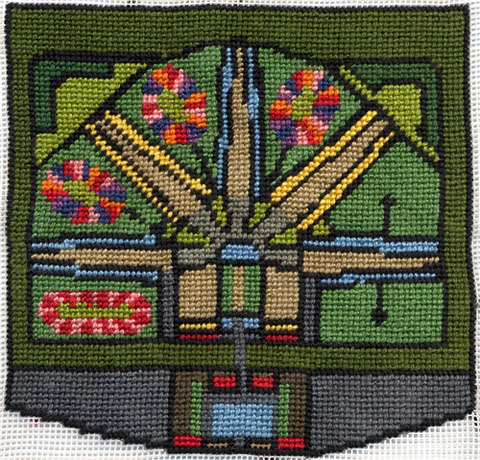 Posted on 12/18/2013, 6:00 am, by MrXStitch, under Guest Bloggers, Mr X Stitch. Pandora Vaughan is a UK/Canadian artist working across disciplines in architecture, landscape, drawing and sewing. Her series “All the Little Rooms of One’s Own” presents a new perspective on prisons. “The prisons began as a small experiment and became a four year state of mind. I have for a long time been interested in formal 18th century landscape designs which expressed power and influence and their rigid systems of little rooms and containerised spaces. 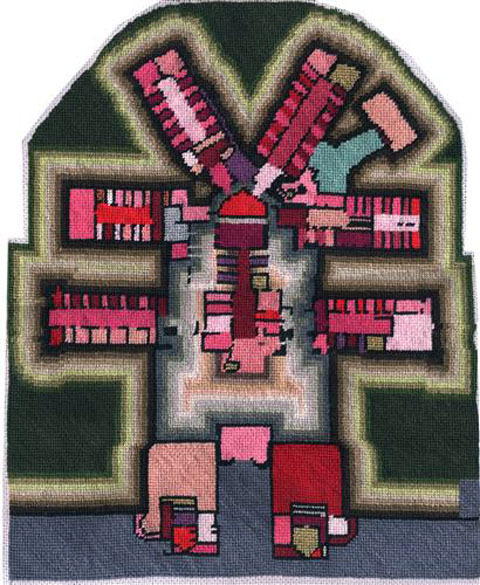 I wondered what would happen to an architectural plan of a prison if I added landscape colours. Would they become gardens? Would they still be recognisable as prisons and asylums? 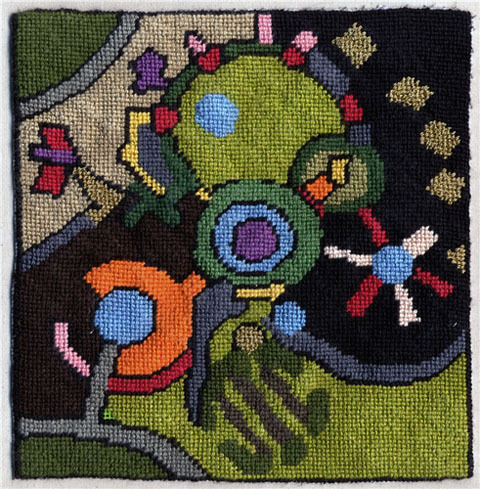 “The long hours and repetition of using needlepoint on small panels made me feel trapped and confined within the medium but loving their evolution. As I finished each one there has always been another that needed doing, it was addictive and there are so many variations on how we have organised space to confine one another that I kept finding new ones which needed interpreting. The use of colour became less about landscape and more about how I felt inside each plan as I moved from room to room. Hidden treasure, bodies, nationalities, gender and earth’s elements all popped up as I went along. Pandora’s work makes me smile. 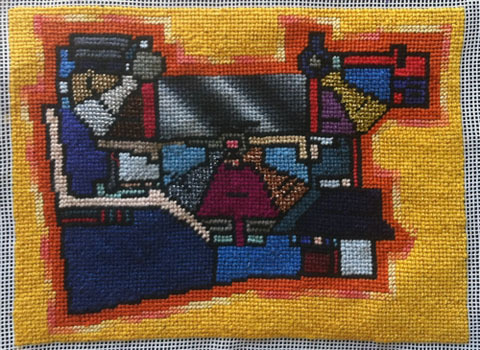 The application of needlepoint to prison schematics transforms them from places of penance to something far more charming. While the original architecture is driven by necessity, Pandora’s work filters the view, allowing us to consider them anew. Never have prisons been so visually appealing. Find out more about Pandora and the other facets of her work at her website. The cheap custom term papers that this company produces are of the highest standards because the talented writers here put in a lot of their effort and knowledge to make them so. These are just incredible. 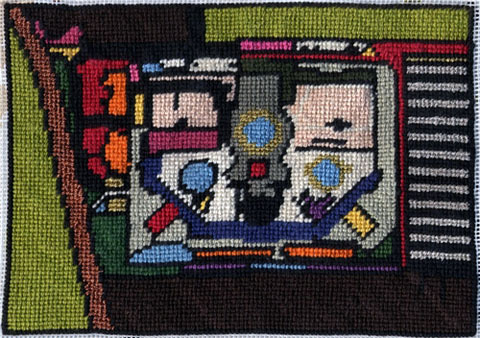 This type of needlework has always interested me.